Are you wondering why you’re not closing leads on Facebook? Or you are not getting any engagements at all? It seems your ad is lost in the middle of the forest. Maybe you’ve got the wrong people seeing your ads. 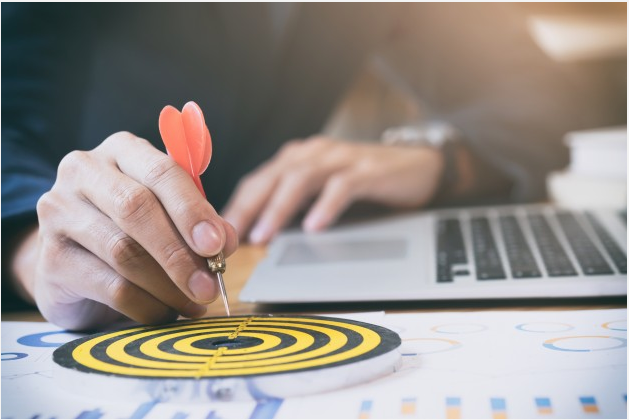 In today’s post, I will be sharing the four effective ways you can use to target the right audience so you can get great results. Advertising on Facebook is one of the biggest, if not the greatest opportunities for business owners widely available today. Unlike traditional marketing, you can target people on Facebook using a variety of factors that can narrow down its billions of users into small and specific audiences. Nowadays, internet users are aware that if you use social media, you will be advertised to and all information that you’ve input into your profile gives these social media platforms an idea of what should they show to the user. So how can you advertise on Facebook and generate sales with the right audience? Do you already have your buyer persona? 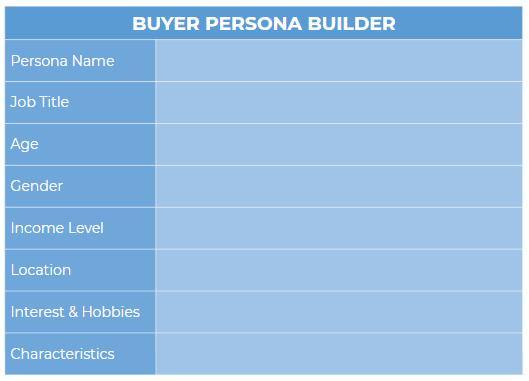 If you don’t have one yet, let this buyer persona builder help you to create one for yourself. I highly recommend making a buyer persona before you can get started on your ad. Understanding who your ideal audiences give you an advantage of knowing the attributes of Facebook users that you’ll be advertising to. Most Facebook users complete their profile details including age, gender, location, hobbies, music genre, and etc. Aside from the capability of Facebook to show ads based on your activities, your ads can be shown based on the former. This helps advertisers a lot especially when it comes to targeting very specific users based on their age, gender, and even marital status. Location targeting is also helpful if you only want to reach out to users within the radius of your physical store. Tip: Put yourself in your customer’s shoes. What problems that your product or service are trying to solve? Are you familiar with the phrase “low hanging fruit”? Let me explain what it is. Low hanging fruit refers to those consumers who are easiest to attract to your business. Imagine remarketing as your low hanging fruit strategy. The best choice for targeting your ideal customers are those who’ve already visited your website and has background knowledge about what you offer. By using Facebook pixels to track website visitors, you can track behaviors of people who visited your website, so you can use that data to optimize your ads. The process is simply like this: Visitors come to your website and Facebook will show your ads based on what they browse within your website. Tip: Your remarketing ads should focus on what you offer already, albeit the features and benefits should be seen. These audiences need a little more push to be convinced to make a purchase. Custom audiences allow businesses to build a list of target audiences based on existing consumer information. Simply put, Facebook will take a group of users and identify what they have in common. Those similar users will be targeted by your ads. If and only if you have a steady amount of leads already, only then you can extend your reach to lookalike audiences. We can all agree that as Facebook users, we tend to be fans of hundreds of brands and put self-described hobbies or favorite activities into our profiles. Targeting based on interests will allow you to get inside the heads of Facebook users and be the perfect audience for your product and/or services. The goal is to show your ads to specific people who have interests that match with your brand who will not only find the ad interesting but click on it. Tip: Be as specific as possible when it comes to interest targeting. The more specific your target is, the smaller the audience you’ll have but are more likely to generate sales. Finding the right audience for your ads is a tedious yet exciting process. Think of it as finding that pot of gold at the end of the rainbow. By targeting your ideal customers with a unique and actionable content that are geared specifically for them, you have a higher chance of increasing your leads or whatever output you want to achieve. For all your digital marketing Pampanga needs, EmergeLocal has you covered. We help businesses get more traffic, more leads and higher conversions. Get in touch with us today to find out how we can help with your Facebook advertising campaigns.